MANILA -- Defense is one of the several cooperation agreements Israel and the Philippines will discuss during the visit of President Rodrigo Duterte to the country, Israel Ambassador to the Philippines Effie Ben Matityau said Friday. In an interview at his residence in Makati City, Matityau said Duterte is expected to arrive in Israel for a three-day official visit on September 2. "We have a number of contracts we hope to see signed during the trip. One in the food sector, in the labor sector, and the third, one I think defense. I don't want to go into specifics until finalized," he told reporters. Aside from these, Matityau said a deal for Israel's transfer of technology to the Philippines is one of the contracts they look forward to be signed. 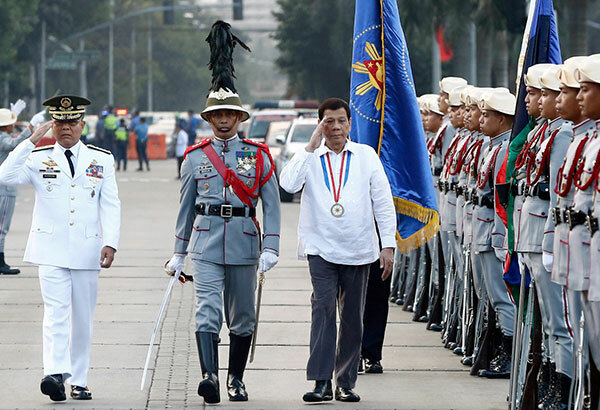 The outgoing envoy, who recently received the Order of Sikatuna with the rank of Grand Cross from Duterte, said he will be among the officials to welcome the Chief Executive to Israel. "It's going to be the first visit of its kind of a sitting president of the Philippines to Israel with a large business delegation," the envoy said. Duterte will be meeting Israel Prime Minister Benjamin Netanyahu and President Reuven Rivlin. His itinerary will also include a visit to "must-see places" in the Holy Land and a meeting with the Filipino community in Israel, Matityau said. "It's going to be a condensed visit because traditionally, he's going to meet the Filipino community."